As this year marks the 100th anniversary of the flu pandemic that took the lives of 675,000 citizens in the US, doctors are asking people to get their flu vaccine. According to the Center For Disease Control, last year was the highest death toll in 40 years, with 80,000 losses. Flu season draws near, starting November and ending in February. The highest number of flu cases are usually reported between Thanksgiving and Christmas. A flu vaccine can reduce the risk from 40% to 60% percent. Some people have some misconceptions from the flu vaccine and even dismiss its effectiveness. Doctors hope to clear these beliefs with a new flu vaccine formula for this year and heavily promoting it during this season. This year is the hundredth anniversary of the 1918 pandemic, also known as ‘The Spanish Flu’, that infected over 500 million people or one-third of the population, killing at least 675,000 in the US. The flu occurred during World War I and it was kept secret among countries who participated in the war. As the infection increased, it took over many families around the world. Since this incident, countries all over the world fight every year to prevent another pandemic of this magnitude. A hundred years later, the US is still fighting against the flu. Even though it is heavily recommended to take the vaccine once a year, many individuals don’t do it because they are scared of needles. Doctors and health officials expect that the nasal spray flu vaccine could be an option for these people. The nasal spray flu vaccine is ideal for children, seniors, and pregnant women. Many doctors say that pregnant women can give protection to their babies thanks to the vaccine, which it is transmitted through the placenta. Ask your doctor if he suggests a normal flu vaccine or a nasal spray flu vaccine. Many specialists believe that the spray is not as effective. People of all ages should take the vaccine. Kids, adults, and seniors are better protected if they have the flu shot or nasal spray. If you have kids, take them to the hospital. Few pharmacies give the flu shots to kids under 11 years of age. Do it for others. Once you get a flu shot, your friends, family and co-workers will be safer. The more people get vaccinated, the better. Remember that the vaccine does not give you the flu. If you get a sore arm, swelling or fever, it is a natural reaction of the body. In a few days, you will recover. Get your flu vaccine by the end of October. Do not wait for the start of peak flu season. Cases are spread evenly across the United States, making the vaccine important no matter where you live. 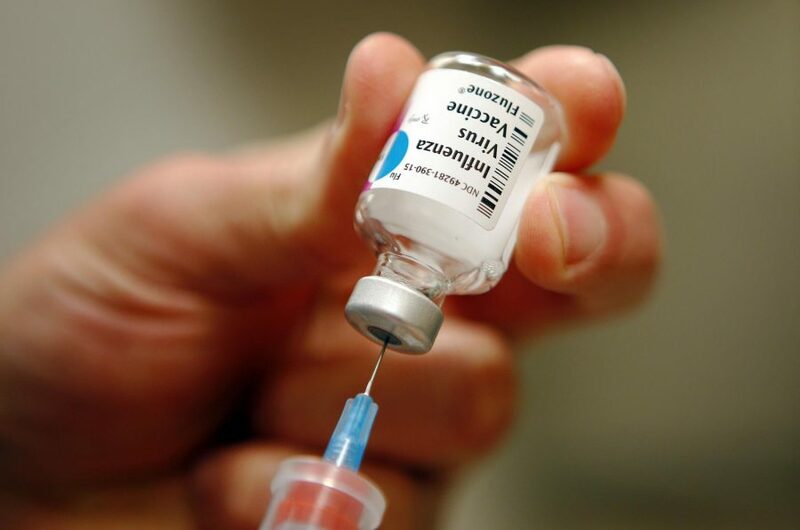 A single flu shot can go a long way in preventing the disease and even a possible fatality.